Since 1908 Sachsenküchen has been combining carpentry with industrial production, always keeping an eye on the trends of the time. 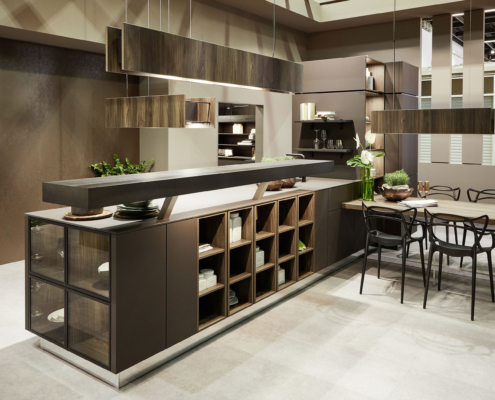 The result: high-quality kitchens and well thought-out living concepts with a maximum of individuality. 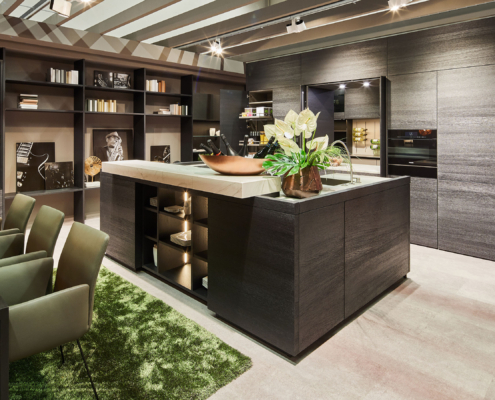 At LivingKitchen 2019 in Cologne, Sachsenküchen showed what the company’s latest kitchen concepts look like under the trade fair motto “Living Kitchens – Holistic & Individual”. 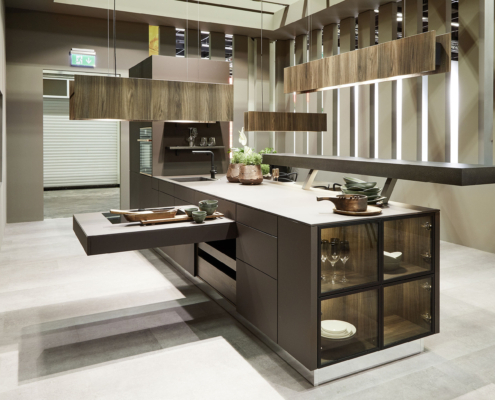 The way kitchens are used is undergoing a fundamental change. 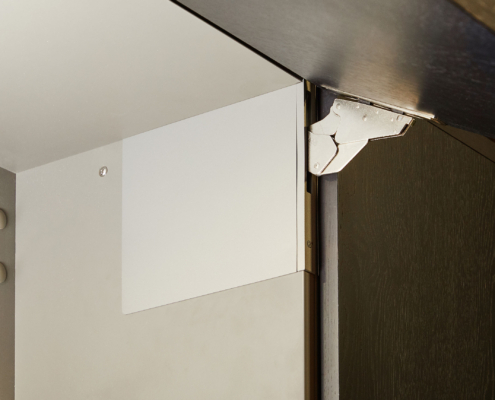 A change that affects not only the functions, but also the way people design their living spaces: The previously spatially separated functional areas are linked to the breaking up of the room structures. The kitchen thus becomes the centre of a living environment in which people can eat, live, sleep or pursue their hobbies. Living becomes holistic! 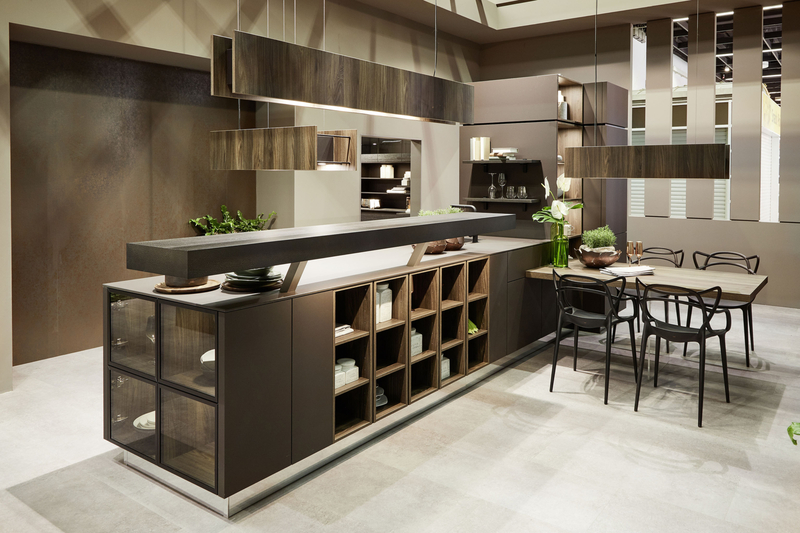 According to a study by Houzz, 50 percent of Germans would like an open kitchen. An open living area promotes living together, enables more personal communication, more genuine togetherness. Open floor plans turn less into more. The renouncement of walls lets rooms work more generously – which is important straight in population centres, in which ever more humans must divide the place. The disadvantages of open-plan kitchens can now be largely eliminated. Smell, volume, the lack of places to retreat, lack of storage space – all these fears can be overcome both by technical solutions and by good planning: Modern, low-noise extractor hoods ensure clean air and the concepts of Saxony Kitchens offer enough places to retreat and sufficient storage space even with open floor plans. While there is more openness on the one hand, the second megatrend is individuality. 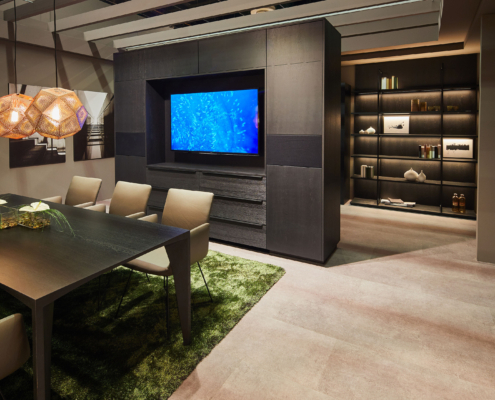 According to a recent study by the Allensbach Institute for Public Opinion Research, as many as 79 percent of those surveyed want to furnish their homes according to their own individual ideas and needs. Design is playing an increasingly important role. Sachsenküchen was quick to respond to this customer demand: The foundation stone for individual production was laid in 2007 – long before the topic was on everyone’s lips. 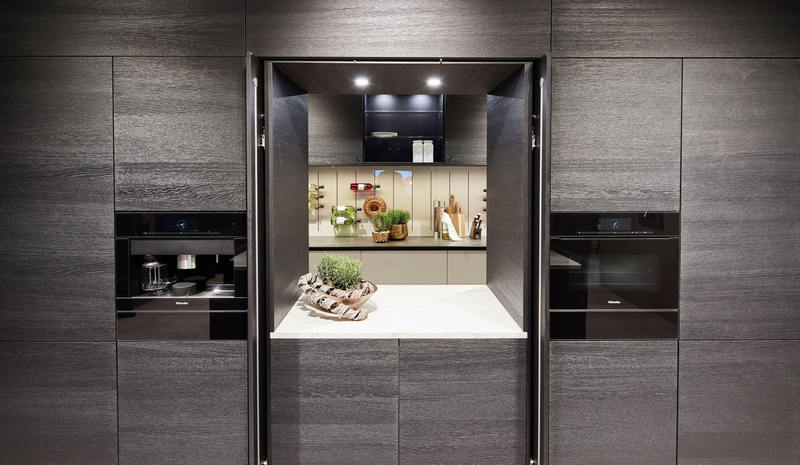 “Customers don’t want to compromise when it comes to kitchen planning,” says Elko Beeg, managing director of Sachsenküchen. 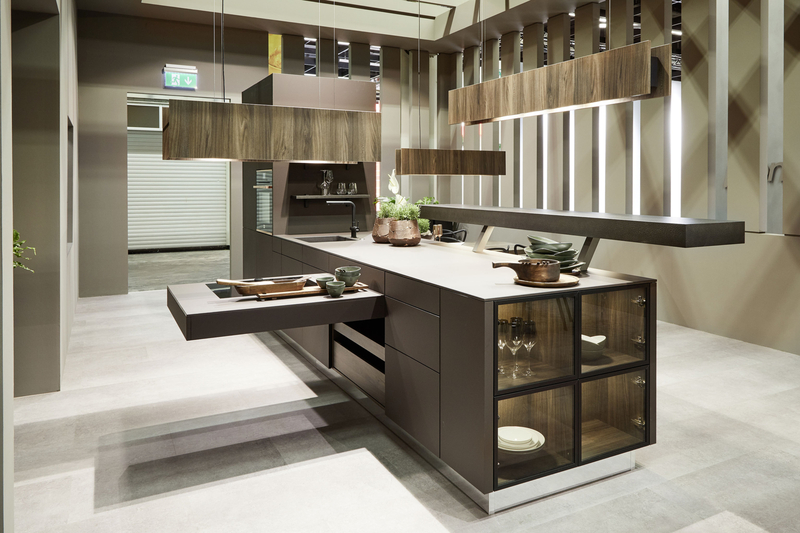 The company is fulfilling this wish with the idea of a “made-to-measure kitchen”. 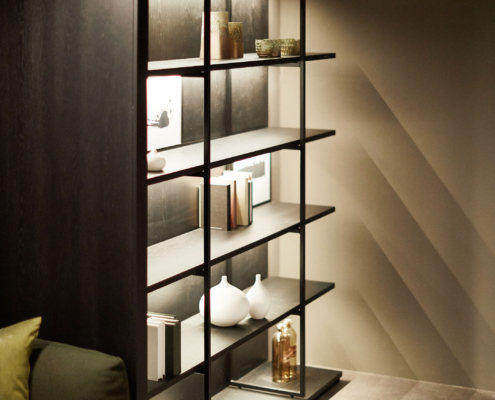 As with the bespoke tailor, the customer selects from a large number of materials, colours and styles and can then have his kitchen put together precisely according to his wishes and space requirements. Already at the Küchenmeile in 2017 a completely furnished apartment was to be seen at the Saxons. “In the last two years we have already realised micro apartments in various properties. For the trade fair, however, we deliberately opted for a more extensive approach in order to be able to show even more furnishing options,” says Elko Beeg. The kitchen with dining area is also the centre of the living landscape here. However, the concept was expanded even further. This gives an initial glimpse of the bathroom furniture collection due to appear in September. 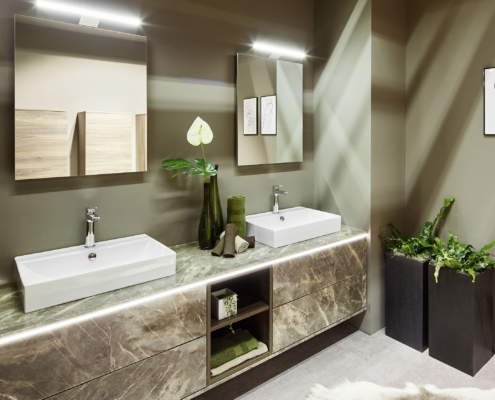 “We have been producing high-quality bathroom furniture for a well-known manufacturer for three years now,” says Elko Beeg. 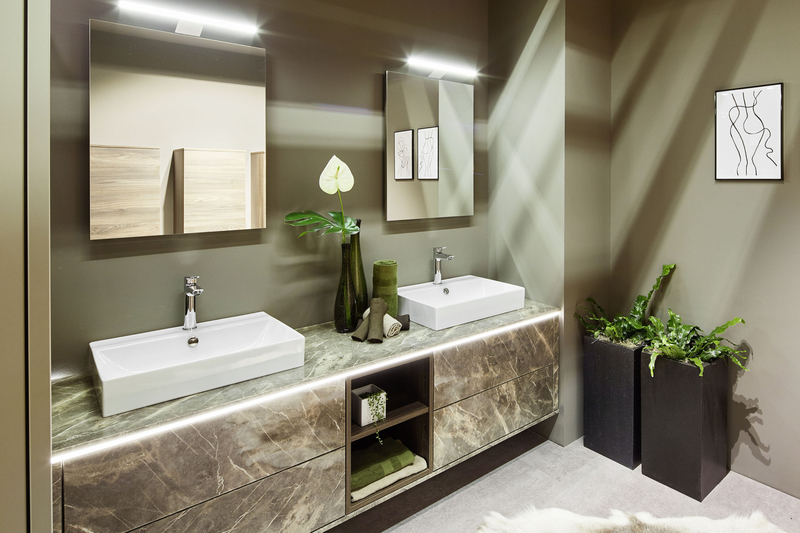 “At the request of our customers, we will present our first own specialist bathroom collection in September 2019. At LivingKitchen we had a preview before”. 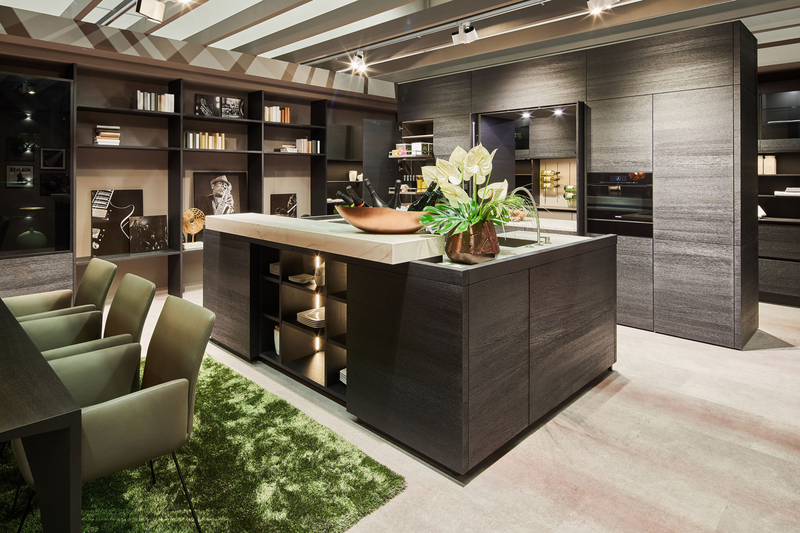 With the kitchen-living room, the Sachsenküchen company shows itself from its noblest side. Black-brown oak wood with sandblasted surfaces as well as metal surfaces, natural stone and glass ensure a high-quality symbiosis of cooking experience, lifestyle and entertainment. 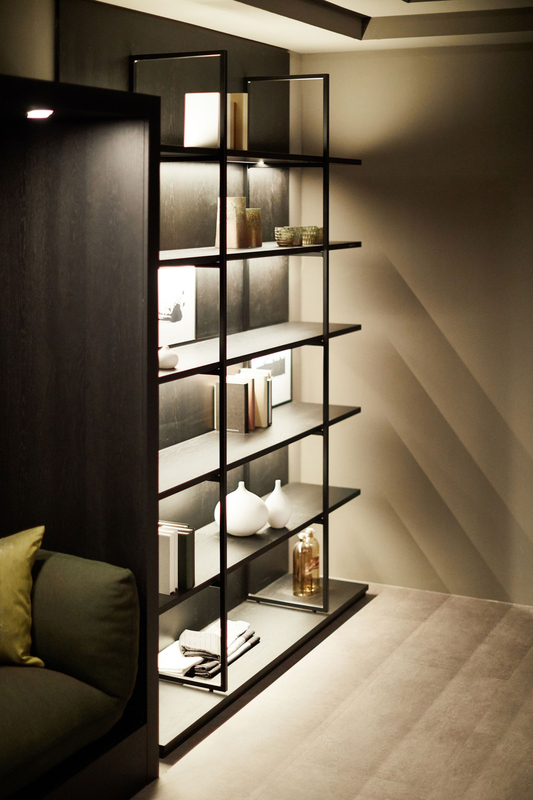 Each cupboard and each shelf are part of a perfect staging of modern life. “We would like to convey here a feeling for it, which holistic planning beginnings can cause today , so Elko Beeg. 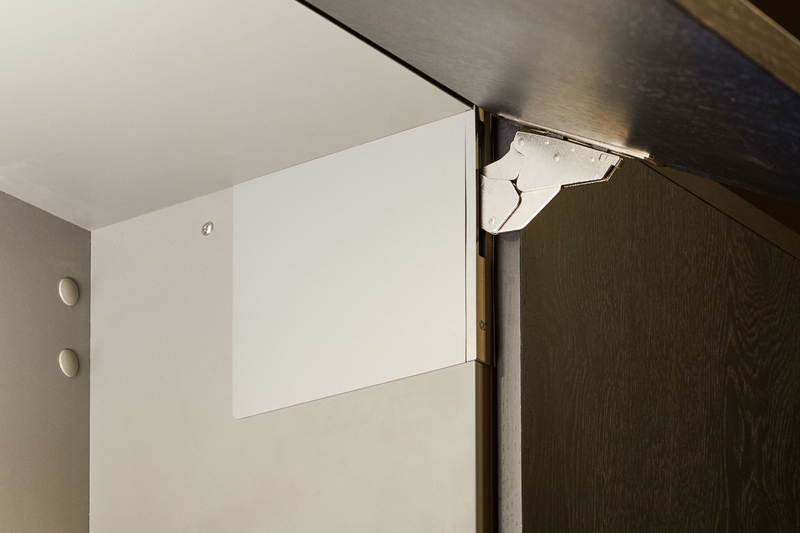 The presentation is rounded off by innovative fittings that can be integrated almost invisibly into the furniture. The flap fittings fully integrated into the cabinet side are a novelty in the industry and a further step towards design and quality. 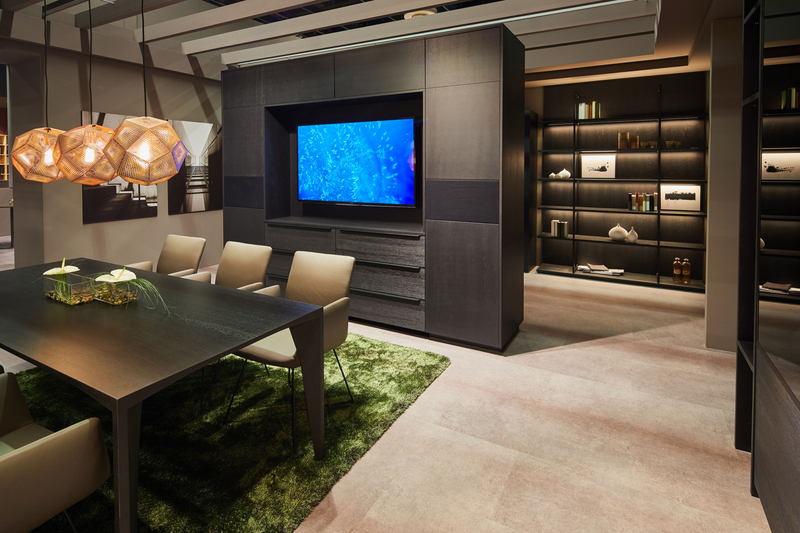 “Here we can show what is possible with our SK130 furniture range – and where we can travel in the future,” says Elko Beeg. As “The Plane”, the airplane, the concept of a living kitchen planned independently of the wall is presented. This independent concept owes its name to its appearance, which is reminiscent of an airplane with its “dining and cooking wing”. “It is an innovative concept that combines the themes of cooking, eating and lifestyle in one object. In principle, it is also a holistic approach, but with an independent and innovative design,” says Elko Beeg. From the plinth to the lighting, everything in “The Plane” is a unified whole. In addition to the design, great importance was attached to short distances and perfect ergonomics. The lifestyle aspect is also not neglected when cooking and eating together – regardless of whether you stand actively at the stove as a cook or attend the hustle and bustle at the counter as a taster. High-quality materials such as Fenix and the fine veneer of the counter round off the independent image of this kitchen-living room. Three kitchens, three lifestyles, one claim: “To pick up the customer exactly where he stands – with all his wishes and needs. Giving them the freedom to choose their own personal space for cooking, living and living. 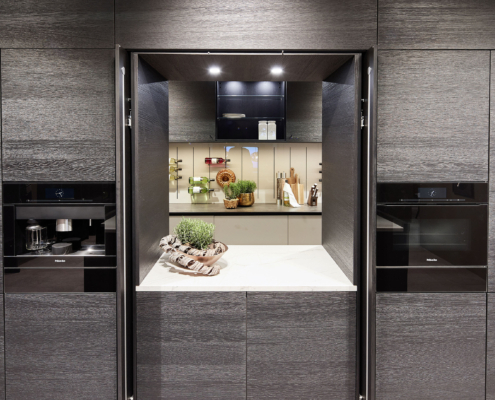 Our LivingKitchen 2019 models – the apartment, the kitchen-living room and “The Plane” -, which stand for certain life plans, are just three of many examples of what the individual dream kitchen can look like,” says Elko Beeg. Back to the future Super appearance at the Wohnen und Interieur in Vienna!